There are few markets that scream “AV” more than sports bars, where proprietors lure in customers based on the quality of their sports viewing and listening experience. 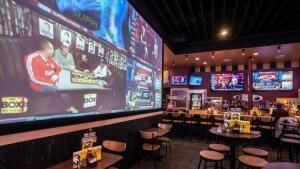 These days sports bars — much like sports venues — need to compete with the affordable large displays in most customers’ homes as well as the phones in their pockets. To figure out how an integration firm can keep its sports bar customers drawing them in, we turned to Union City, N.J.-based Serious Audio Video, a CI Industry Leader in the Restaurant & Bars market. President Casey Johnston offers some surprising insight. Did your firm end up doing so much restaurant and bar work because the market plays to Serious’ strengths? Yes, definitely. Our strengths are system design and reliable system engineering. Restaurant and bar owners want systems that blend into their spaces and they want the system to work without heavy service or support. At Serious Audio Video we take a look at the space as designed by the architect and interior designer and we look to complement their designs. What was the thing you designed that was so impressive? It was a user interface using a collage of different products, which has become kind of our secret sauce. 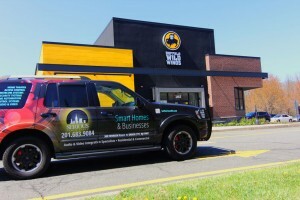 When the owners saw it and saw that it works, they wanted to use it for all of their existing and future locations. It does a lot to standard-ize the customer experience inside the space. It offers an intuitive user experience to experts and novices alike; executes time-saving tasks for employees and it regulates the atmosphere by ensuring the climate, lighting and AV are all as the owner wants, all automatically. 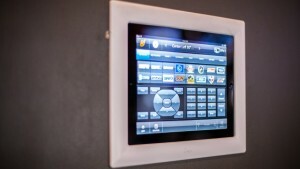 Read the full Q&A between S.A.V founder Casey S. Johnston & Commercial Integrator’s Tom Leblanc.